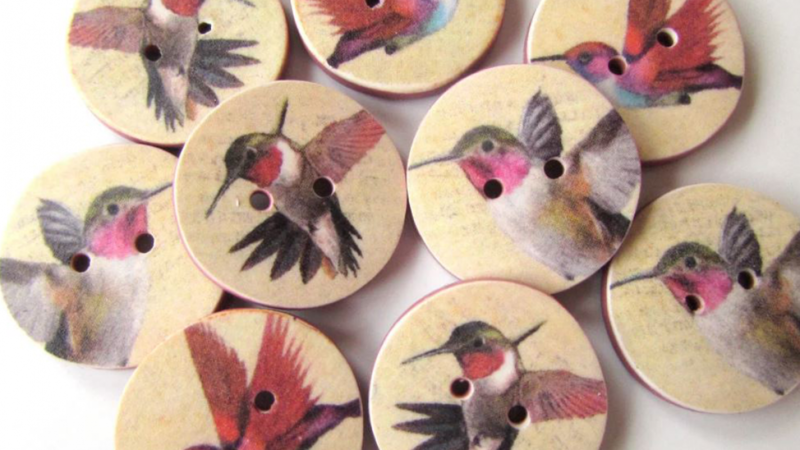 You are sure to love these gorgeous handcrafted hummingbird buttons if you are looking for unique buttons. Handmade items are special because in this world many items are created in factories. This is not ideal if you love unique and interesting items. The design on the buttons is by a New Zealand artist named Helen Emmett. You will love the fine detail in the button artworks. There are other buttons in this range that feature other subjects such as flowers, nature and animals. These buttons are great because you can use them in so many ways. You can attach them to an article of clothing the same way you would with any other buttons. 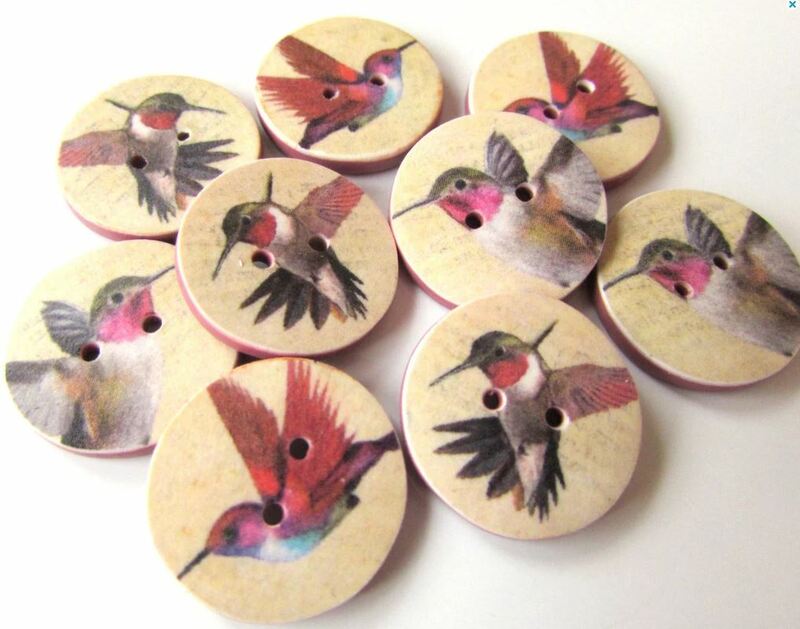 These buttons will look great on a plain colored article of clothing because they will add lovely detail. If you are a crafter you could glue these to something or use to decorate a handmade fabric item. Unique elements can really help to bring craft projects to life. You will find that these buttons are very durable because they are made to withstand machine washing and other day to day use. They are available in three different sizes including 19mm, 22mm and 25mm. These are standard, useful sizes and there is sure to be a size that suits your needs. If you enjoyed checking out these beautiful buttone you may also like the following items.